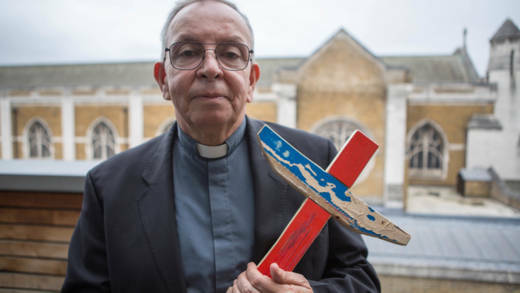 CAFOD’s partner Monsignor Héctor Fabio Henao, Director of Caritas Colombiana explains the significance of the recent election and what it means for peace in Colombia. On 7th August 2018, Colombia’s new president, Iván Duque was sworn into office. He is the first president to take office since the historic peace agreement between the formerly largest guerrilla group the Revolutionary Armed Forces of Colombia (FARC) and the Colombian Government was signed in November 2016. The peace agreement aims to bring an end to more than half a century of internal armed conflict in Colombia. Why is this a crucial time for Colombia? The new President, Iván Duque, and his party opposed the peace agreement and promised to modify the most contested aspects of the peace deal during their election campaign. Duque’s new government will crucially be responsible for implementing the peace deal and reaching peace agreements with other armed actors such as the guerrilla group the National Liberation Army (ELN) and right-wing paramilitary groups. Any changes to the peace agreement by Colombia’s new government raises serious concerns over a return to conflict in the country. “It is not easy to overcome a situation like we’ve had in Colombia. 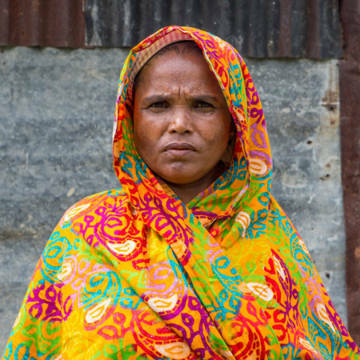 With five decades of internal conflict some communities have been destroyed, others bitterly divided. “The progress of peace depends a lot on the decisions the new President makes at the beginning of his government”. What progress has been made in the peace process so far? Peace talks between the Colombian Government and the Revolutionary Armed Forces of Colombia (FARC) began in October 2012. After more than four years of negotiations, on 24 November 2016, the Colombian Government and the FARC guerrilla group signed a final peace agreement. This followed a historic bilateral ceasefire signed on 23 June 2016, and the announcement on 24 August 2016 that a final agreement had been made. On 2 October 2016, Colombians voted on the peace agreement and in a narrowly won referendum, the population decided against the agreement. A revised deal was approved by Congress on 24 November 2016. Since the signing of the peace agreement, more than 14,000 FARC guerrilla fighters have demobilised and tens of thousands of weapons have been handed to a UN mission accompanying the process. In February 2017, formal peace talks started between the ELN and the Colombian Government. A temporary bi-lateral ceasefire was reached and announced during Pope Francis’ visit to Colombia in September 2017. Peace negotiations have been ongoing, and it is hoped that they will continue under the new government. “The search for peace is a continual task; a task that has no let up and that demands the commitment of all. “However difficult the road to peace and understanding, we must put more effort into recognising one other, healing wounds, building bridges, extending ties and mutual support”. What is the current situation in Colombia? Despite a peace agreement with the FARC guerrillas, conflict and violence continue in Colombia. Thousands of children, women and men who are mainly part of indigenous, Afro-Colombian and small-scale farming communities in remote areas of the country, continue to be caught in the crossfire between different armed actors. They are often forced to flee their homes or are confined to them without the possibility of venturing out to get food. At the same time, Colombia continues to be one of the most dangerous places in the world to be a human rights defender or community leader. “Since the peace agreement, many social leaders, human rights defenders and Afro-Colombian leaders have been left unprotected. “It is very clear that we need a solution and must protect these people who risk their lives to defend our rights”. More than 300 human rights defenders have been killed since 2016. On average, one human rights defender is killed every 3 days in Colombia. The majority of those killed are leaders in their rural community supporting the implementation of the peace agreement and the right of the community to chose what they want to do with the natural resources in their territory. Colombia’s Inspector General has opened an investigation into state officials that are allegedly working with criminal organisations to assassinate social leaders. CAFOD has worked in Colombia for over 40 years. The Catholic Church in Colombia plays a key role as an advocate for peace and human rights, the resettlement of uprooted communities, the participation of victims in the peace talks, and the need to ensure victims have access to truth, justice and reparation. After more than half a century of armed conflict, the peace-building process will take time and international support and solidarity will be crucial. The “territorial” peace that CAFOD’s partners are calling for needs to be built from the rural areas that have been most affected by the conflict and involve everyone- men, women and children, from grassroots and faith leaders to local politicians and business. "Alongside our partners in Colombia, we will continue our efforts to work for peace: a peace which the Church has been working for and pursuing for decades. At this time of uncertainty, it is more important than ever to protect human rights defenders and those who have been working for long-lasting peace."